Repoint - Builder based in Gateshead, Tyne and Wear. 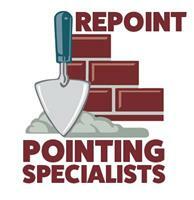 Repoint commercial & domestic Re-pointing is based in Gateshead Tyne & Wear. The business was established in 2016 and specializes in all aspects of Re-pointing & brick replacement. With over 8 years experience in Re-pointing on many projects throughout the North East. We cover various aspects in Re-pointing including the use of N.H.L 3.5 (Natural hydraulic lime) for period buildings and Portland cement on modern buildings. When raking out old mortar dust extraction equipment is used and eliminates approx 80-90% of air pollution thus being cleaner for the environment and protects the person carrying out the work. Where possible new mortar is applied by the use of injection guns ensuring the voids are filled to the cavity depth giving adequate cohesion with the existing motor and prolonging the lifetime of the new mortar. We also offer a brick replacement service and brickwork crack stitching with the use of helical bars.